Dr. Neil Oliveira is a native of Mattapoisett, Massachusetts, and he joined Orthodontic Specialists of Southeastern Massachusetts in 2005, the practice his father started more than 30 years ago. Dr. Neil attended public school in Mattapoisett and he graduated from Bishop Stang High School in North Dartmouth, Massachusetts, in 1995. Dr. Neil completed his undergraduate studies at the College of the Holy Cross in Worcester, Massachusetts, in 1999 where he majored in Economics with a concentration in Pre-Med and received a Bachelor of Arts. Dr. Neil went on to study dentistry at Tufts University School of Dental Medicine in Boston, Massachusetts, where he received his Doctorate of Dental Medicine in 2003. The specialty of orthodontics has always been an interest for Dr. Neil and he continued his studies under world-renowned author, lecturer, professor, and orthodontist, Dr. Anthony Giannelly, at Boston University Goldman School of Dental Medicine, in Boston, Massachusetts, where he received his Certificate of Advanced Graduate Studies in Orthodontics and Dentofacial Orthopedics in 2003. 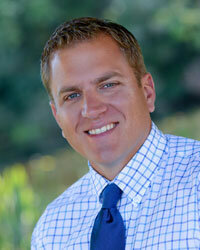 Dr. Neil has been an Invisalign® certified provider since 2003. Dr. Neil is currently a member of the American Association of Orthodontists, the Northeast Society of Orthodontists, the Massachusetts Association of Orthodontists, the American Dental Association, the Massachusetts Dental Society, the Southeastern District Dental Society, and the Boston University Society of Orthodontists. Dr. Neil has served on the Massachusetts Dental Society's Council on Access, Prevention, and Interprofessional Relations since 2005, and has worked on issues related to access to care, fluoridation, and campaigns to increase the general public's knowledge of the importance of good oral hygiene. Dr. Neil has devoted his services to the Massachusetts Dental Society's, Give children a Smile program and has lectured at various local schools. He has also volunteered his services on the Massachusetts Dental Society's, Mobile Access to Care Van that provides dental care to underserved communities. In 2007, he was a recipient of the Southeastern District Dental Society's Volunteer Hero Award. Dr. Neil, his wife, Beth, and his three sons, Ryan, Luke, and Joshua, and daughter Leah, reside in Mattapoisett, Massachusetts, where they enjoy spending time with friends and family.